Can I sue a retired dentist? A blog examining whether a dental negligence claim for compensation can still be brought if the dentist who provided the treatment has since retired from practice. Our dental negligence team receives a wide array of enquiries from dental patients who consider that they have received poor treatment from their dentist. Quite often, these enquiries relate to dental treatment received from a dentist that has since retired from practice. This trend of cases, relating to retired dentists is increasing and I deal with cases all too often that relate to retired dentists. The basis of a claim against a retired dentist is often that they did not report any problems when the patient has attended their six monthly check-up or take appropriate x-rays to monitor dental decay. Upon the dentist retiring and the patient attending a new dentist, issues such as gum disease, poor historic root canal treatment and dental decay are quickly identified. It is then my job to establish whether these dental issues should have been identified and treated at an earlier point. Unfortunately, I act for numerous clients that have loyally attended their ‘family’ dentist for a long period, sometimes up to 40 years and then since the retirement of their dentist, have learnt they have serious dental problems. Quite often, in cases such as these, it becomes clear that dental x-rays were not taken for long periods or the dentist did not carry out a basic periodontal examination (assessment of the health of the gums) when required. The standards of dental practice change and evolve over time and unfortunately, it is evident in some cases that retired dentists have failed to keep their standard of practice and approach to dentistry in line with modern practice. Of course, I only see cases where treatment has gone wrong and most dental treatment in the UK is provided to a good standard. Can I still bring a claim against a retired dentist? Many patients who enquire about a potential claim after being advised of poor treatment by a new dentist are unsure whether they are able to make a claim against a dentist who has retired. However, patients who find themselves in this situation should not be deterred or worried as a claim can still be made. By law, all dentists must be registered with the General Dental Council (GDC) and must have appropriate indemnity and insurance arrangements in place in order for patients to seek compensation which they may be entitled to. Therefore even after a dentist retires they will still be responsible for the treatment which was carried out when they were practicing as a dentist. Our Dental Negligence Team has significant experience in bringing claims against retired dentists and understands how to trace these dentists and ensure their indemnity insurers are notified and respond to potential claims, which is vital for the claim to succeed. 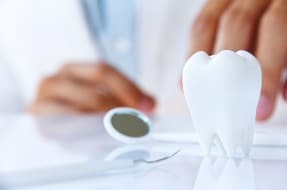 If you think you have received poor treatment from a dentist that is now retired, please feel free to contact us to discuss whether you have a dental negligence claim.